WASHINGTON, D.C. (The Adobo Chronicles) – For decades now, Filipinos living in the United States have been lumped with the ‘Asian’ demographic subgroup by the Census Bureau. That is about to change starting with the 2020 population census. The Philippines is an island nation that is not connected to the main Asian continent. The country sits in the middle of the Pacific Ocean, in close proximity to other Pacific Island nations like Fiji, Guam, and the countries of Polynesia. Its tropical weather is very similar to the rest of the Pacific Island nations. The Philippines uses the Latin alphabet (ABCDE) , unlike other Asian countries which use logographics like kanji, hanja and hangul (漢字). Most important of all, unlike their Asian counterparts in China, Japan, Korea and Vietnam, the Filipinos do not use chopsticks. They use silverware or eat with their hands. Filipino communities in places like Daly City, Honolulu and Jersey City immediately praised the decision by the Census Bureau. Fake news… or stupid no brainer idea by USA Census Bu. The Phils is not in the middle of the Pacific read your map Yanks… you re a bunch of Hijo de PI s…..
I’m not being tricked again, right? I would say that a BIG influence of the Spanish is the adoption of the Roman Catholic church, which is a very big influence on culture. You forgot item 6. To convince US that they are still in control regardless of the current President’s choice of new friends with China and Russia. Lol. Do you really think the US Census Bureau would “reclassify” based on eating utensils? Anak ng P.I. naman weh! The ancestors of Filipinos, Malays, Indonesians (and other Southeast Asians) Taiwanese Aborigines, Malagasy, and Polynesians were Austronesians that were Southern Mongolids that came from China through migration. Probably the Austronesians who were Southern Mongolids were pushed away by the some slit-eyed Northern Mongolids to other places from China but some remained there and mixed with the other group of Mongolids. I’ve seen a lot of Filipino DNA test results that says they are 60% Asian, 30% Polynesian, and the rest are divided among Spanish (Berber), Native Mexican (Mesoamerican), Indian, and others. 25-40% percent of Filipinos got some Chinese mixed wherein most are descendants of Fujianese: immigrants from Fujian China. That’s the reason why we have Fujianese-Chinese foods in our cuisine like Siopao, lumpia, piansit (pansit), bi-kou (biko), lomi, batchoy, taho, hopia, tikoy, tanghon (sotanghon), tokwa, bihon, miswa, and others No wonder why most Filipino-Chinese speaks Hokkien. Most Filipinos were already Mongolids even prior to the massive miscegenation that occured between them and the Chinese. However the pure Negritos like Aeta and ati are Australoids that are separate from the Mongolids. The Mongolid race got 2 branches namely Northern Mongolid which is consist of Northern Chinese / Han Chinese, Japanese, Koreans, American Indians from North & South America and others. Then the other branch is the Southern Mongolid which is consist of Filipinos, Malays, Indonesians, Burmese, Thai, Cambodians, Lao, (and other Southeast Asians), Southern Chinese, Mongolid Nepalese, Northeast Indians, Taiwanese Aborigines / Native Taiwanese, Malagasy, and others. Some Europeans, Eurasians and Pacific Islanders got some mongolid genes. mestizos from 1565-1815 and they sold Native Mexicans like Aztecs, Yaquis, Mayans, etc. here. You’ll only be surprised if you’re not acquianted with Philippine-Mexico history. Philippines is in Southeast Asia and a member of Southeast Asian Nations (ASEAN) therefore Filipinos are geographically and politically Southeast Asians. But genetically Filipinos are related to Asians and Pacific Islanders and some got Spanish, American, Mexican, Indian, and other mixed. Spaniards administered Philippines through Spanish-Mexican mestizos from 1565-1815. NOV. 9, 2015 — The Census Bureau has no current plans to classify Filipinos outside of the Asian race category. Filipinos are classified as Asian on Census Bureau forms based on the Office of Management and Budget’s definition, which specifically states that people whose origins are from the Philippine Islands are part of the category Asian. According to OMB, Asian refers to a person having origins in any of the original peoples of the Far East, Southeast Asia, or the Indian subcontinent, including, for example, Cambodia, China, India, Japan, Korea, Malaysia, Pakistan, the Philippine Islands, Thailand and Vietnam. At this time, the Census Bureau is conducting the 2015 National Content Test and is testing the design of the race question for the 2020 Census. This test will frame the recommendations for the 2020 Census race question, which has Filipino as an example under the Asian category. whoa!!! So 2020 it is in effect! The Philippines should be left ALONE since its already a nation country of its own. Is this another conspiracy theory… for what and by who? I don’t understand! Oh well…. 1) They should be classified as “CHINOS”. Long time ago, people who were shipped during the Manila Galleon trade were all called “Chinos” – they were Japanese, Malays, Filipinos, Javanese, Timorese, and people from Bengal, India, Ceylon, Makassar, Tidore, Terenate, and Chinese. Filipinos made up most of the population. The people in this community of diverse Asians in Mexico was called “los indios chinos” by the Spanish. 3) In Mexico during the 17th & 18th centuries, the name “chino” refers to the offspring of Black and Indian, Mulatto and chino were synonyms. The term “chino” did not mean “Chinese.” The “chinos” recorded in most Spanish colonial documents are the offspring of people of the Original Nations and Africans. 4) There goes the history books in the Americas. They all think Chinos people of centuries ago meant Chinese. Corrections, corrections. I think it shouldnt be changed, because Filipinos are Asian, because the Chinese migrated there as well. The food is Asian such as the lumpia. Lumpia is an egg roll for goodness sake. All Asians do not use chopsticks. People from Thailand don’t necessarily use chopsticks, but use there hands to eat. Does that make them Pacific Islander? Japan, Taiwan, Malaysia sit in the Pacific ocean, so does that mean they can change to Pacific Islander as well? There is nothing wrong with being Asian. Alot of great technology came from Asia. I don’t think people should be classified period. That’s just my opinion, but the world likes to divide people. There isn’t anything wrong with being Asian. Some of the brightest people come from Asia. Advanced technology came from places like Japan. Phillipines is part of Asian culture as well with the Chinese inhabiting in the country and mixing with the mainland people. If the Phillipines could be Pacific Islander I don’t see why not Taiwan, Japan, Malaysia couldn’t be as well? Being Asian doesn’t necessarily meaning using chopsticks. It says above that Filipinos like to use silverware and there hands. If that’s the case then people from Thailand could be Pacific Islander, because they use there hands to eat as well. That is ludicrous. I think that is ridiculous to change from Asian to Pacific Islander. Filipinos are in the pacific, but Japan, Malaysia aren’t crying about changing to Pacific Islander. People from Thailand don’t eat with chopsticks. Most natives use there hands to eat, does that make them a pacific islander? For goodness sakes, lumpia is basically an egg roll. Looks Asian to me. Can you guys do a follow up and change it from Pacific Islander to Spanish/Hispanic/Latino? That would be hilarious! Ugh, trolls. Got me excited for imaginary land. did they forgot that philippines was once part of asia and most inhabitants are of malay race?? Lol! It was interesting until I realized the source then it became really funny. so the rights to play in ASIAN, FIBA, JONES CUP AND SEA GAMES, will be gone.. pacific islander parang tsinelas lang ang peg.. I was trying to google an authoritative source on the net for this, and cant find one, so it must not be true…. Yes I totally disagree, please, Pacific Islander?? ?What is the purpose for this anyway? I mean do we get special benefits? Tax deductions? Affirmative action? The Philippines is 65% Malay, meaning we are majority Malay, and the Philippine Islands came from mainland Asia, there used to be land bridges connecting them, most of the vegetation is similar to other Asian countries like Thailand, Vietnam, and chopsticks?? ?Please, that cant be a basis for classification. i think this piece is funny! 1. Yes, the Philippines is not part of mainland Asia, but neither are Japan, Taiwan or Sri Lanka, yet all 3 would be considered part of Asia. 2. The Philippines does not sit in “the middle” of the Pacific Ocean. It’s an island nation less than 1000 miles from Vietnam & less than 900 miles from China – nowhere NEAR Fiji or any Polynesian islands referenced in this article. The Polynesian triangle is formed between New Zealand, Hawaii & Rapa Nui, with all islands falling within its borders included in Polynesia. The Philippines is over 5,000 miles from New Zealand OR Hawaii, and even further from Rapa Nui/ Easter Island. 3. Tropical weather? Tropical weather can be found in parts of South America, Africa and Asia – similar weather doesn’t mean its part of the same region. Arizona is dry & desert – so is the Sahara, but that doesn’t mean Arizona should be considered part of Africa. 4. The Philippines uses the Latin alphabet because of its history with Spain, which also explains why so many Spanish words are common in the various dialects spoken in that country. I find this Pacific Islander debate to primarily be one amongst the Filipinos in America and, specifically, the Filipinos living on the West Coast. I’ve known numerous Filipinos who seem to want to cross-over into identifying as Polynesian, going so far as to get tribal tattoos, changing their names to sound more ‘Hawaiian’ etc. I’ve heard many try to go so far as to include the Philippines in Polynesia. I think the desire to identify more as Pacific Islanders vs. Asians is a veiled attempt at trying to make more headway into feeling legitimately “included” in the Pacific Islander community, which, at least in California, is primarily Polynesian – Samoan, Tongan, Hawaiian, Fijian, etc. Many Filipinos like aspects of Polynesian culture, so they try to ‘claim’ that lineage… and if they can’t do so legitimately (ie. coming from an island in Polynesia with Polynesian ancestry), they try to do so in ways such as this…. By trying to justify why the Philippines is more “Pacific Islander” than “Asian” – but the only argument that I’ve ever REALLY heard is that “Well, the Philippines IS an island – and it IS in the Pacific!” – yet, so are Japan, Taiwan and many others near Asia. I don’t know – it feels a bit like an identity crisis for Filipinos in America maybe. It is not hard to get side tracked. The US census has some pretty strange classification schemes. Ex. classifying people from India as “white” at one time. Ex. Making a category for “White Hispanic” and “Black Hispanic” but not one for “Indian Hispanic” which most are of course. So yes, US Census is ripe for satire. Relax, it’s the Adobo Chronicles! vailei78, it is YOU who has an identity crisis. You’re obviously Chinese & here you are in a Filipino site spending so much time writing. Go to your Chinese site. You forgot to mention the East Asians have monolids & have natural missing teeth & yellow skin & mongoloid. Filipinos have natural double eyelid & brown. You’re just completely in denial. I’m Filipino and know for sure that we have Pacific Islander blood in us. 1. Philippines is in close proximity to other pacific islands like Palau, Papua, East Timor, Northern Mariana Islands and Guam. Yes, it true that Hawaii is further away but we have Pacific Islander neighbors that are close too. Palau is extremely close to us. You can’t deny that. 2. Filipinos in America don’t claim to be part Pacific so they can claim fame. You’re in denial. We Filipinos naturally gravitate towards Pacific Islanders in America because we genetically look like them and our cultures align. 3. Philippines is not culturally and historically part of the sinosphere. China, Japan, Korea, Vietnam, and Taiwan are the only countries that are truly and historically East Asian and part of the sinosphere. We Filipinos belong to the Malay/Indonesian/Guam/Palau/Melanesia/Papua group. It’s called austronesian pacific. Our culture is a mix of pacific and western. 4. When I think of the Philippines I think of Jamaica or Puerto Rico or the Caribbean islands. They are geographically in America but historically and culturally NOT white American. Although they are part of the Americas on the map, they are actually more Hispanic and Black, both culturally and historically. Bottom line: Philippines is geographically in Asia, but culturall and historically more Pacific Islander. It’s not wrong to call us Filipinos a Pacific Islander. Excuse you? Do you not know your genetics? Filipinos are Asians! P.I. – yes, Putang Ina. Interesting, although I do not agree with it. Are they not from the same stock of Malay people as in Indonesia and Malaysia? … the “middle” … really? Any classification is going to be difficult. Why not classify them as “Latino” as there is so much Spanish influence? you know this is a spoof right? Maybe HISPANIC…because some Filipinos PANIC when the critics say they have the worst airport in the world, while there are other bad airports worst than the Philippine airport. Or Maybe, Filipinos could be classified as Europeeans…Can pee anywhere without malice or feeling of insecurity. 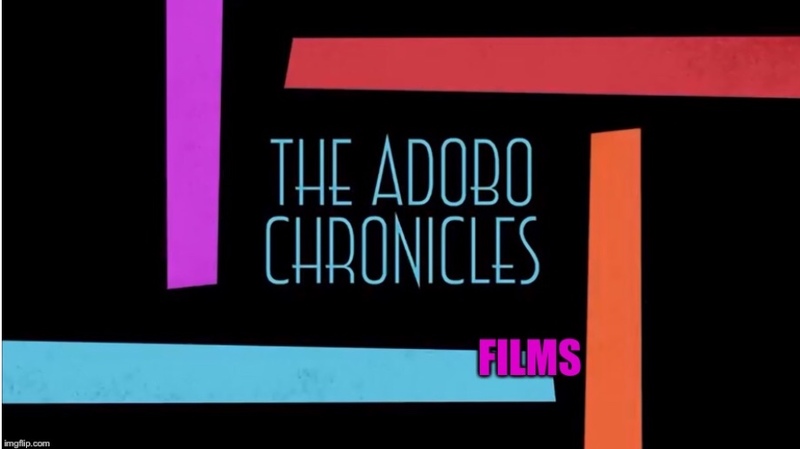 You now, this is ADOBO Chronicles…ANYTHING GOES! The only Spanish influence is the Romanization of the language from the original Baybayin script to the Latin alphabet and then there is the influence of carnivorizing some of the cuisine, that was ancestrally seafood and vegetarian based. Then some Spanish words were adopted, but those are very trivial in number. Filipinos are ethnically Asians, historically and culturally, not just geographically.